Looking for ideas? 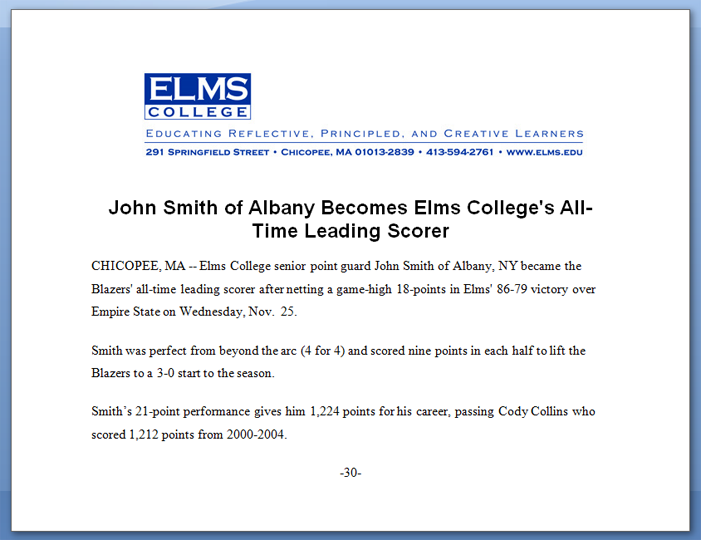 Here are two press releases about student athletes setting school records from Elms College. You can use an individual hometowner to release news about this student. NOTE: You do not need to create a template and spreadsheet of individual hometowners.